But I did promise to share some of my fun adventures that I’ve had so far on my program, and I always keep my promises. 2) You would think that because I am beyond obsessed with Disney, an annual pass holder AND a cast member that I would have gone to every Disney park in Orlando. Oddly enough…you would be wrong! Up until a few weeks ago, I had NEVER been to a Disney water park! 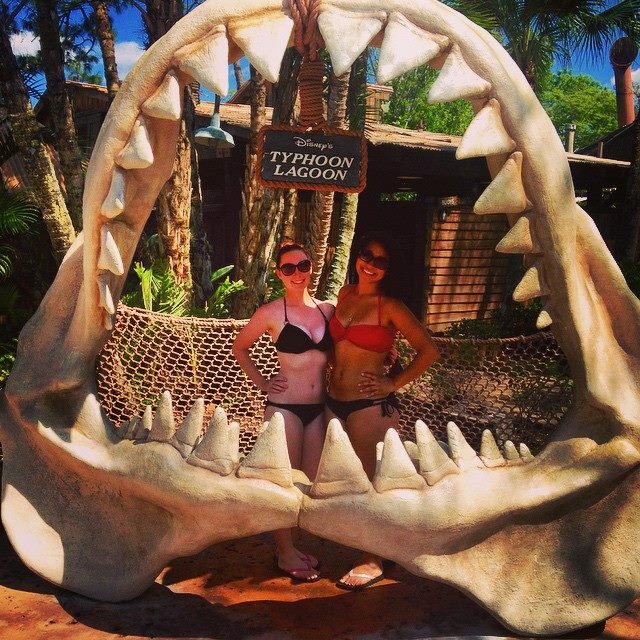 Luckily, my roommate and I changed that and we went to Disney’s Typhoon Lagoon! I’ve only ever been to one other water park, and it’s a very small one right by my house in Naples, Fla., so it really doesn’t compare. But I loved every minute of being at Typhoon! I loved the wave pool (even though I got knocked down every time), I loved all of the water coasters and the lazy river was SO relaxing! The great thing about the water park is that you can get a lot done in a short amount of time and still have the rest of the day to do other things, like visit Downtown Disney 😉 If you’ve never visited a Disney water park, I highly suggest making that part of your next trip! Now I just have to conquer Summit Plummet at Disney’s Blizzard Beach! These are just a few of my favorite adventures so far, so I promise to have another post in the near future! But none of these amazing experiences would’ve been possible without the wonderful group of people featured in this post, so a huge thank you to Katherine, Katie, Erin, Denning, Abby, Deanna, Tyler, Ryan and Jake for making my program as fun as it has been. You guys are the best. I’d like to start by apologizing for being so MIA since I moved to Orlando to participate in the Disney College Program, but I am about to make up for it right now! I did begin my program on the 19th of January, and it has been a challenging, but highly rewarding, experience thus far. I am living in Chatham Square with four lovely roommates and I am working merchandise at the World of Disney at Downtown Disney, which is the largest Disney store in the world. My work location has been the most challenging part so far, mainly because the store is composed of 11 rooms. This means that I have had A LOT to learn, and you only get about a week of training (or, really, four-five days). I will be the first to admit that I had a hard time the weeks following my first initial week (where you go through Casting, Traditions, and get a feel for everything before you start on the job training) trying to find my place and I wondered if I had made the right decision in coming here. I felt overwhelmed from all of the training plus trying to keep up with my classes, and I felt excluded because my hours at work differed from all of my roommate’s hours, so I barely saw them. I remembered I am at Walt Disney World completing an internship that thousands of college students around the world would give up anything to do. I started to find the positives at work, whether it be interacting with more guests or reaching out to and getting to know more coworkers. In fact, some of the best times I’ve had here so far have been with my coworkers. Even on days when it’s not that great, I know that there are four magnificent parks waiting for me on the days that I’m off, and that alone makes the experience worth it. This adventure I am on is one I was meant to take, and I am sure of that. The lessons that I am learning and the experiences I am having are going to shape who I am and help me become the best version of myself. Is it tiring? Of course. Can it be frustrating at times? Yes. But the friendships I am making, the magical moments I am having and am able to create…they make it all worth it. I mean, where else in the world can I go casually visit Magic Kingdom before work or have breakfast with the Fab Five? Do you ever see those 30 day challenges and think to yourself, “I am so going to do that next month!”? I do. And then I never make it past the first week or two. Let me know if we share any favorites! 13. Least Favorite Song- Honestly, anything Snow White sings. I can’t stand her voice. I’m sorry. I’m so sorry. 15. First Movie You Saw- I THINK it was The Lion King? I know I was obsessed with it when I was younger! 16. Favorite Classic- This is WAY too hard. I love Sleeping Beauty (as a classic princess movie), but I also love Toy Story, which I totally consider a classic. 17. Least Favorite Classic- Pinocchio. I dislike this movie so much. 18. Favorite Pixar Film- Toy Story, but also Monster’s Inc. LOVE THEM. 20. Favorite Sequel– The entire Toy Story trilogy. So well done. Love it. 21. Overrated Movie- Cars, and Tarzan. 22. Underrated Movie- The Aristocats. Can we give some love to this movie, please? 24. Movie That Makes You Cry- Oh. My. God. Toy Story 3. If you didn’t cry…are you even human…? 25. 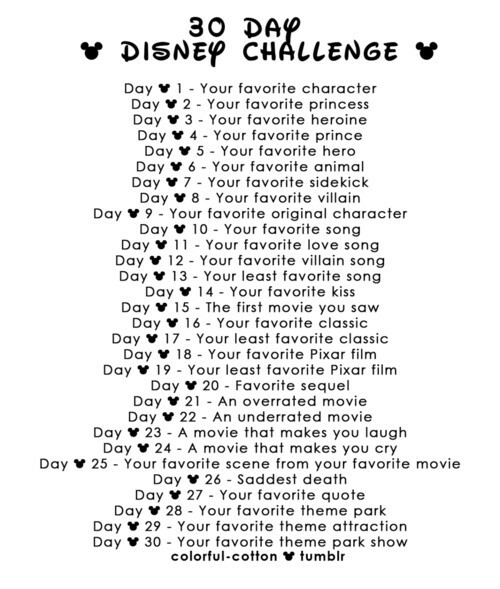 Favorite Scene From Your Favorite Movie- I have a lot of favorite movies, but…my favorite scene is the lantern scene from Tangled. It makes my heart so incredibly happy. 26. Saddest Death- Oh gosh. There’s so many…but probably Mufasa. 30. 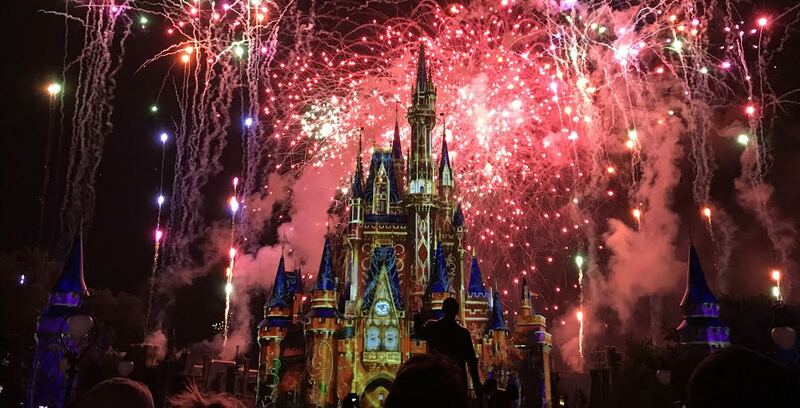 Favorite Theme Park Show– If it’s a nighttime show, Wishes. If it’s just an entertainment show, probably Finding Nemo the Musical at DAK, or Festival of The Lion King. Are you going to take the challenge? What are your favorites? “When you believe in a thing, believe in it all the way–implicitly and unquestionable.” – Walt Disney. To piggyback off of Walt, I would like to begin by saying that believing in yourself, first and foremost, is one of the most important things you will ever do in life. Believing in yourself opens up so many doors that will lead you down new and exciting paths, and those paths will help shape who you become. Truthfully, I have always struggled with my self esteem. Some days I feel on top of the world, and other days I feel like there’s the ground, 50 feet of dirt, and then me. However, and this may sound silly, finding my dream has helped me feel better about myself. Having a dream gives me a sense of purpose, and having a sense of purpose makes me feel…important. I’ve mentioned my dream briefly a few times, but to refresh your memory, I would ultimately love to work in social media/communications department for Walt Disney World. I very much enjoy interacting with people on social media platforms and figuring out how to use the platforms to my advantage. 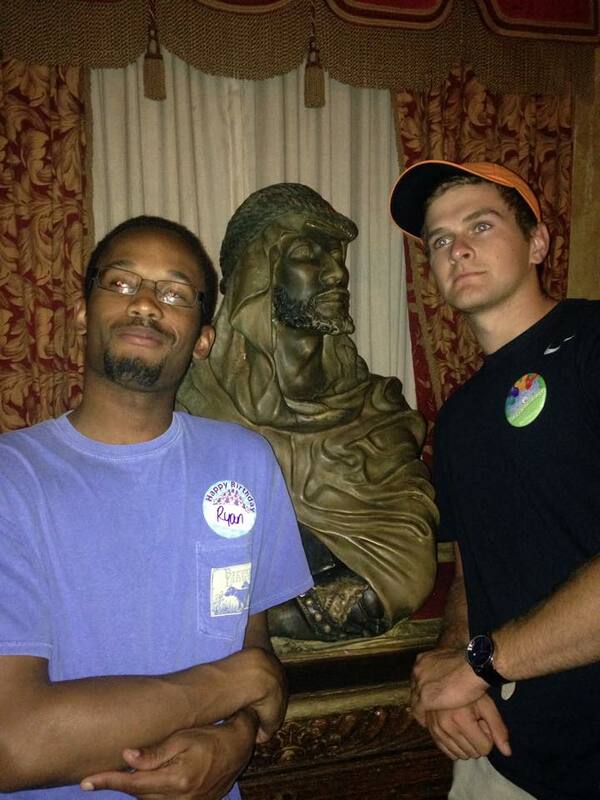 With this in mind, I decided to apply to the Disney College Program. 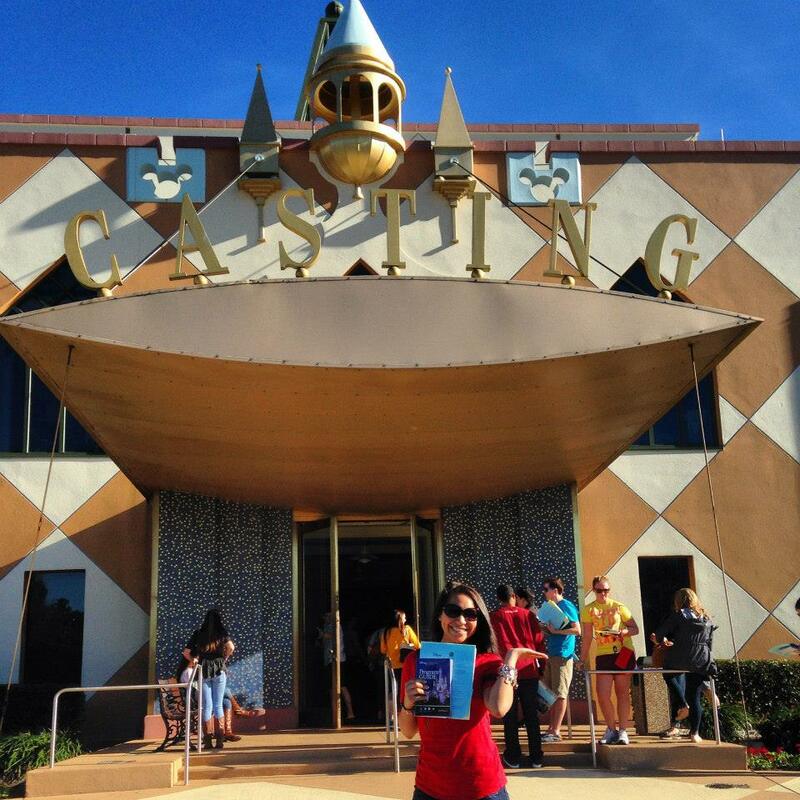 Yes, I am aware that I won’t gain experience in social media this way, but I am also aware of the fact that many cast members started their career with Disney by doing the program. And, honestly, the magic starts in the parks. So why wouldn’t I want to begin my journey there? 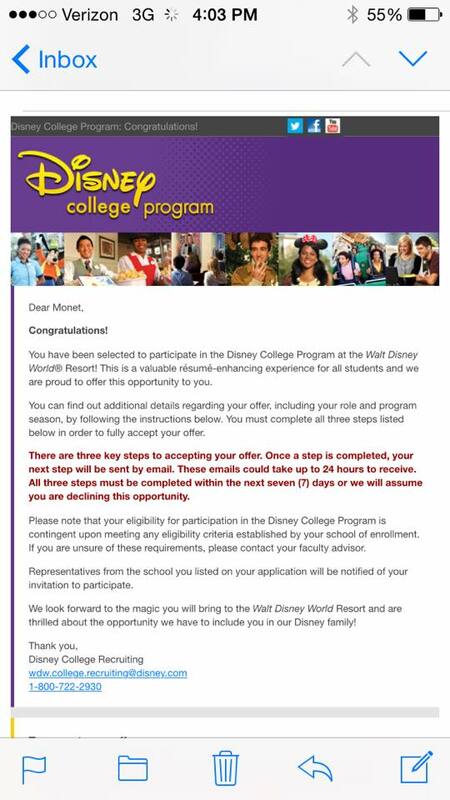 On Sept 29, I was accepted into the Disney College Program for the Spring 2015 semester. My role is Merchandise, and I am so beyond excited! I, of course, accepted my offer, and will be participating in the program from Jan. 19 until May 15. 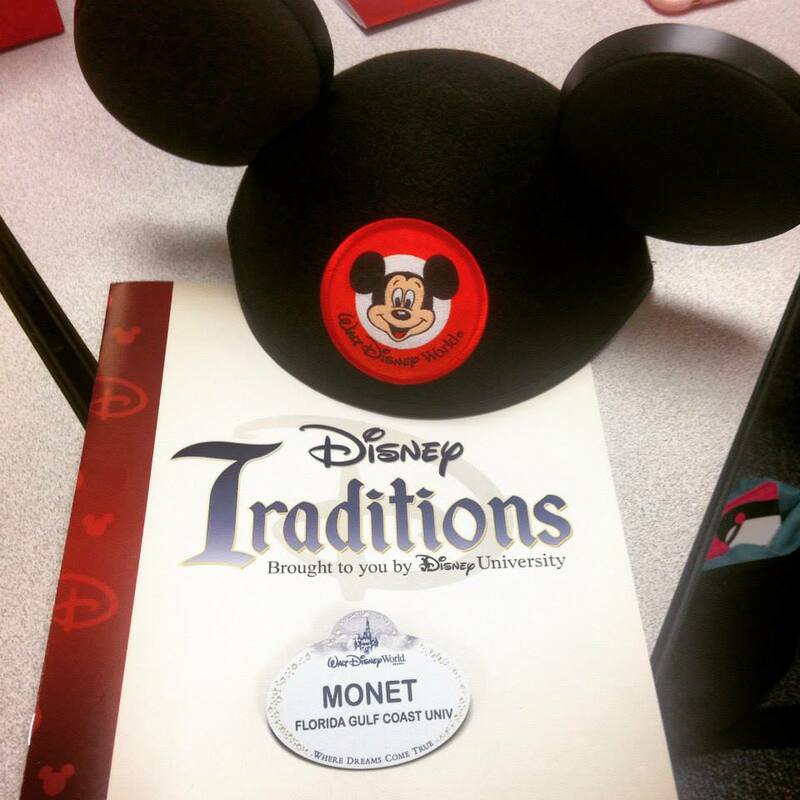 I am ready to earn my ears, network, make new friends and learn about the history of my favorite place on this earth. I will probably post on here periodically to document my journey, so I hope you will all follow along! I am FINALLY on my way, and I am going the distance! I can’t wait for this new chapter in my life to begin! The gates open and the crowds rush in; the smiling faces of cast members fill the sidewalks along Main Street; the castle gleams and glistens in the sunlight; the whimsical music invites guests to ‘leave today and enter the world of yesterday, tomorrow and fantasy.” For Giana Beverly Austin, this is just another day at the office in the Magic Kingdom at Walt Disney World. 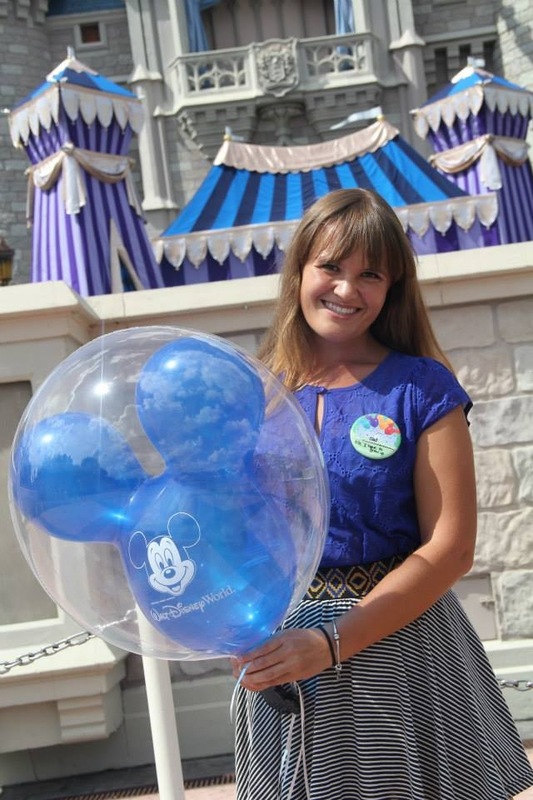 Austin is a 17-year-old who has been going to Disney since she was three months old. 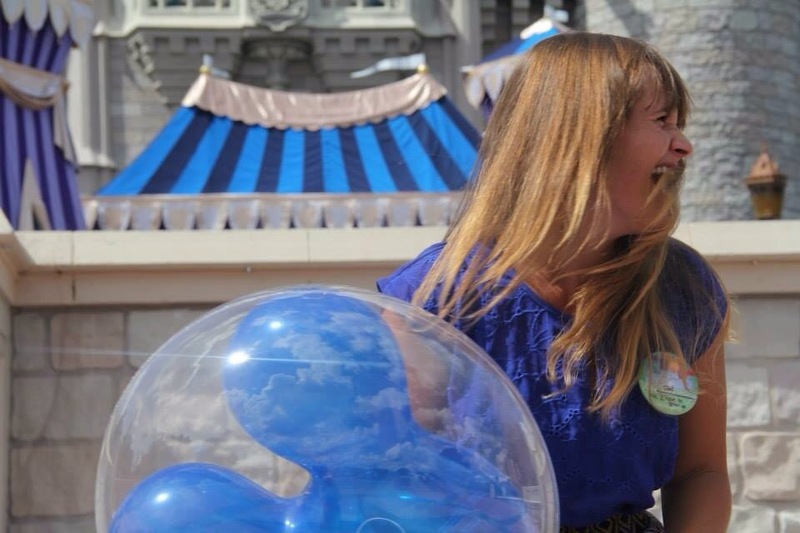 She credits her parents for instilling a love for Disney inside of her, and that love grows stronger every time she visits. Recently, she has taken that love and combined it with her other true love–photography. At the beginning of March, Austin started an Instagram account called ‘Disney World Delights’ where she could post pictures she took while at Disney. Much to her surprise, the account skyrocketed. She now has 10,000 followers and receives anywhere from 300-500+ likes on a single picture. To me, that’s A LOT. Not only has this young (only 17, remember that), up and coming photographer made a name for herself, she has also managed to grab the attention of many cast members that she takes pictures of. 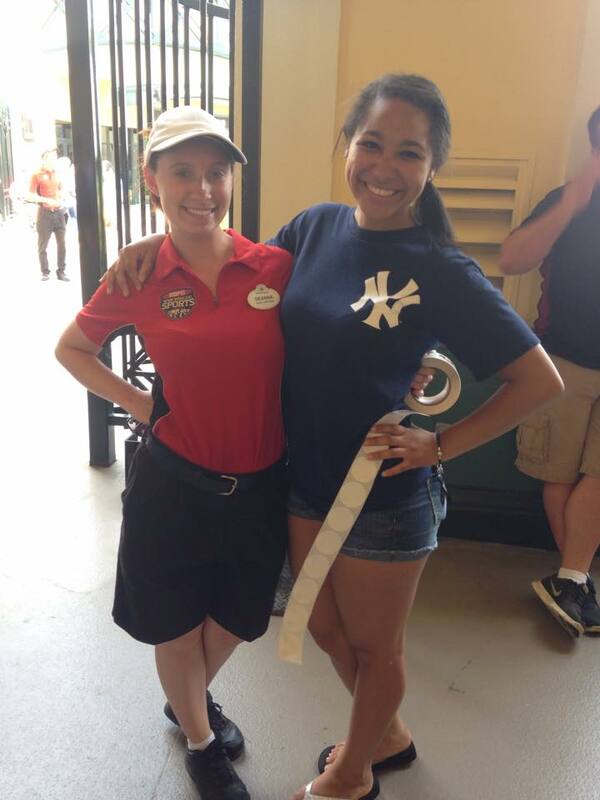 Her cast member connections even tell their managers about her. “Their managers watch my page and review some of my friends on their character performances by my videos and photos, which is an honor and also a tad nerve-wracking,” Austin said. On top of being friends with so many cast members, which is something I am just slightly jealous about on the down low, she’s also made some very close friends through this account, one of them being a young woman named Meghan Mueller. 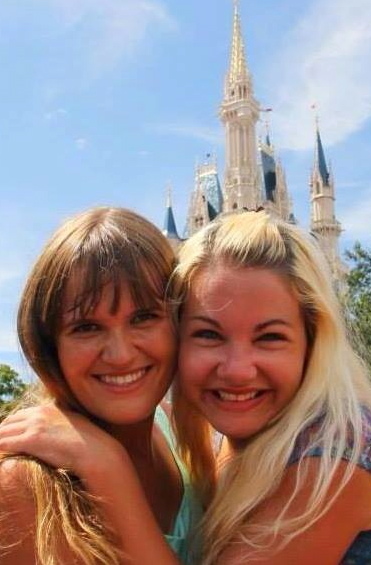 A beautiful friendship tied together with magic and pixie dust. I love it. Interestingly enough, Austin does not live in the Orlando area. No, this determined photographer makes the four-hour trip to Disney twice a week so she can get her dose of magic and new content to keep her page fresh and up-to-date. However, it has proven to be a challenge. Because Austin does visit the kingdom twice a week, she has developed a precise schedule, which makes her giggle when she thinks about it. “I normally get there at 10 sharp where I proceed to watch the 10:10 trolley show, followed by 10:35 castle show. Then the Move it, Shake it, Celebrate it street party starts at 11 that I never miss. 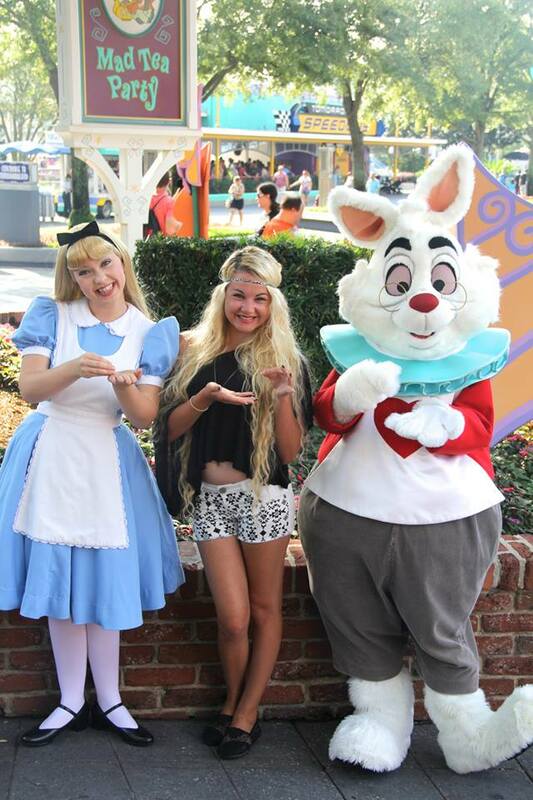 Usually after that, I go see Alice. After I visit her, I get Starbucks and I sit at the Tomorrowland Terrace. I bring my computer so I can edit photos right there. It’s the best to be able to work with a view of the castle! “I catch the 12:30 street party and then roam for photos until the 2:05 castle show, which is my favorite show time of the day to watch for some reason! After that it’s straight to Frontierland to wait for Festival of Fantasy, which I proceed to watch twice by running to the end of Main Street! After the parade, I grab more coffee and attempt a 10 minute nap at the Terrace while I wait for some friends to clock out from the parade where we sit and hang out. [This is] one of my favorite parts of the day, getting to see my lovely friends and relax for a while! There was no way for me to accurately describe a day in the life of Giana better than she did, so I had to give you her entire answer. I bet you can’t guess how many photos this girl goes home with at night. Hint–it’s A LOT. 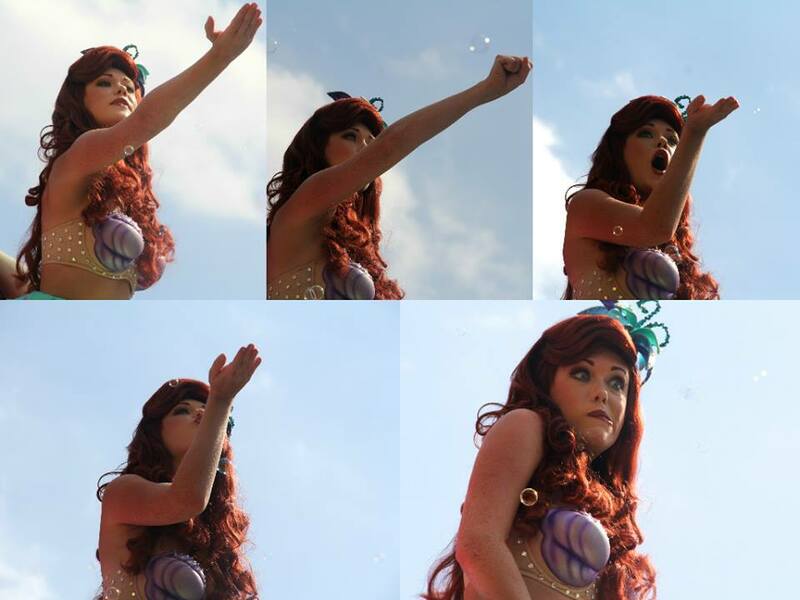 “In a single day of shooting at Disney, I normally come home with about 2,000 photos,” Austin said. Yes. 2,000 photos. And she goes twice a week, so make that 4,000 photos. And then comes the editing process. “I spend 20 minutes on each photo. And with over 2,000 to go through, well, you do the math! 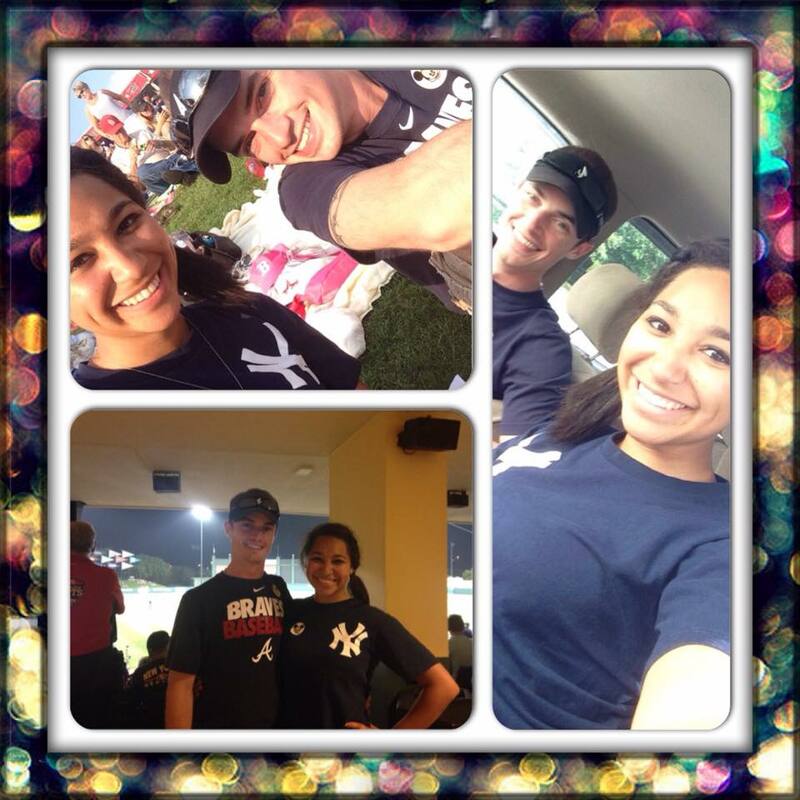 (If I could put emoji’s, I would’ve inserted the laughing-crying one),” Austin said. Is she not the cutest? But even though the rest of us think she’s awesome and incredibly talented, Austin still doesn’t really get it. She is incredibly modest and humble, and even that is an understatement. But don’t worry–even though she is modest, Austin is incredibly grateful for all of the support and kind words she receives. But the most rewarding part of what she does? Mueller is proof that Austin holds her friends close to her and values their presence. She recalls the last time they saw each other this summer, which just so happens to be one of her favorite memories. Because Austin is only 17, it’s safe to say she has her whole life, and photography career, ahead of her. However, as Cinderella would say, they cannot order her to stop dreaming, and she is excited to see where her life takes her. 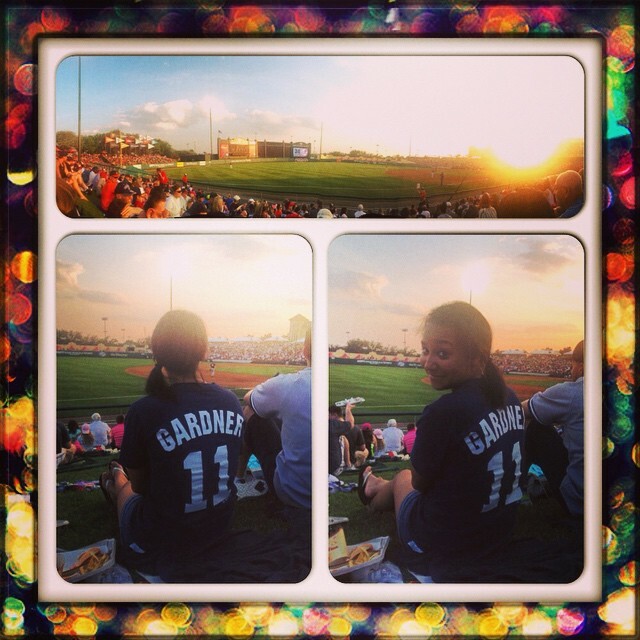 You can follow Giana Beverly Austin on Instagram at ‘DisneyWorldDelights’ and on Twitter here. Do you ever wake up and realize you’re three days away from turning 21?! No? Okay, maybe it’s just me. I’m currently having a moment. Growing up is scary–really scary. But that’s why I’m spending my 21st birthday in Walt Disney World, because not only is it my happy place, but it has no age limit. Since I leave Thursday for my magical weekend, I decided to share one of my favorite Disney moments with all of you. Who doesn’t love to hear about magical moments?! I am a Disney Princess. I may not be an official one, but I’m totally an honorary one. However, as much as I love princess interactions, I was so excited to meet Mickey Mouse, for the first time, during my last trip to Disney. Everyone remembers the first time they met the mouse that started it all, and I made it a priority to meet him. My family, boyfriend and I were walking through Epcot and were passing the Epcot Character Spot. The wait time said five minutes, so we decided to head inside because really, who can resist such a small wait time? We had NO idea what character(s) we were going to meet, which only increased the anticipation. I didn’t have an autograph book, but I had a fanny pack my boyfriend had bought for me with a Mickey Mouse stitched on it by my mom. I whipped out my sharpie as we rounded the corner, and I gasped as I saw who we were in line to meet: Mickey Mouse, Minnie Mouse and Goofy. I completely freaked out. I was about to meet the big cheese, the boss man himself. 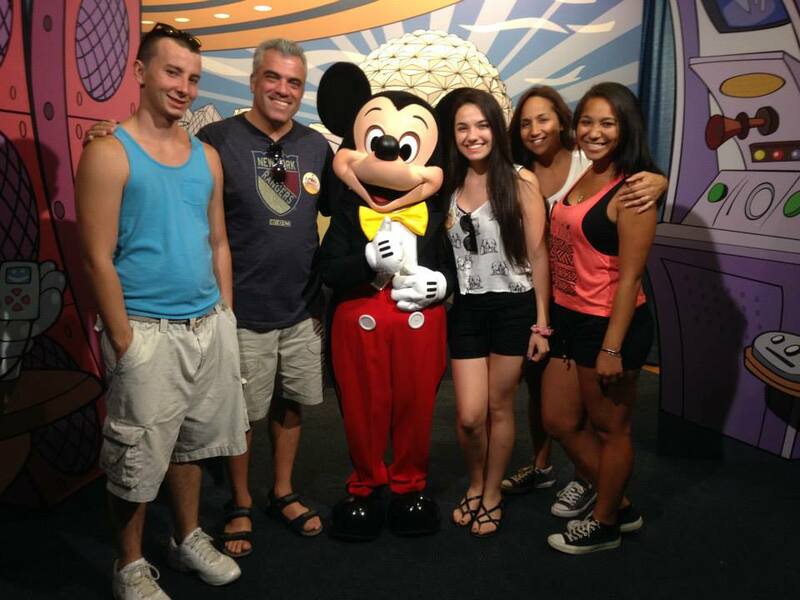 When it was our turn, Mickey hugged each of us, joked around with my boyfriend and dad, and took a picture with us. When we got back in line to continue meeting the rest of the characters, I realized I hadn’t gotten him to sign my fanny pack. My mom flagged him over, and he LEFT his meeting spot and came to us in line. He happily took my fanny pack and the sharpie, signed the entire front of my fanny pack, handed it back to me and hugged me. I would be lying if I said I didn’t cry, and I would be lying if I said I wasn’t crying right now thinking back to that moment. Okay. NOW I’m excited for my birthday. Let the magical festivities begin! Do you remember the first time you met Mickey Mouse? What has been your favorite character interaction? Can I, just, say something crazy?! Disney is giving you the chance to ‘finally do what frozen things do in summer’ starting July 5 when “Frozen Summer Fun–Live at Disney’s Hollywood Studios” debuts! This summer-long event, beginning on July 5 and ending on September 1, gives guests the chance to experience the world of “Frozen” in a way they’ve only dreamed about–until now. 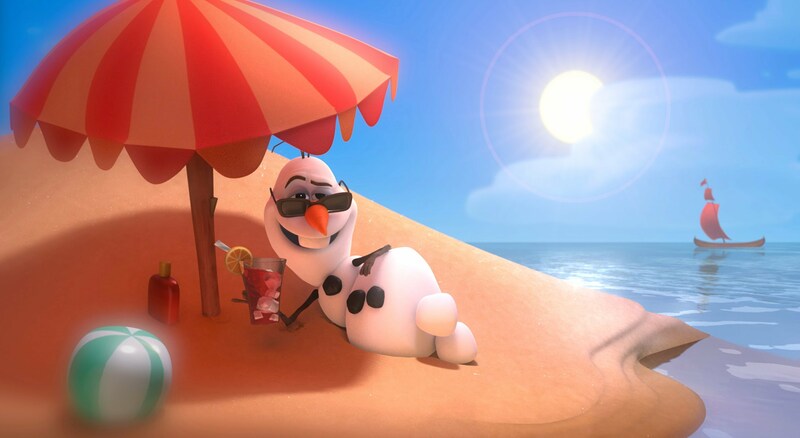 Olaf on Summer Vacation– Oh the sky will be blue, and hopefully you’ll be there, too! Olaf is finally letting off steam and enjoying his very first summer vacation, and you’re invited to join in the fun! Pick up a Take-Along Olaf from various locations throughout the park (TBA) so he can be part of your summer adventures during your day at DHS. Don’t forget to snap some photos and upload them to your social media sites using the hashtag #OlafSummerVacation. You may even see your pictures displayed later on that night! Wandering Oaken’s Trading Post & Frozen Funland– Yoohoo! Big Summer Blowout! Soundstage One has been taken over by Oaken and his cousins who have created a frozen funland, just for YOU! Inside you will find cold weather activities, fun photo opportunities, and much more! There’s even a frozen pond where ice skating demonstrations will be held, a “Do You Want To Build a Snowman?” play area for children, plenty of “Frozen” merchandise, and special “Frozen” inspired foods and beverages. “Coolest Summer Ever” Dance Party– For the first time in forever, I’ll be dancing through the night…at DHS! At 5:30 p.m. each day, a DJ and live band take over the Sorcerer’s Hat Icon Stage to bring you classic and contemporary summer rock ‘n’ roll hits. They’ll even play a medley of “Frozen” songs to get you dancing! I will rise like the break of dawn out of my bed to get to Disney’s Hollywood Studios for “Frozen Summer Fun” this summer! How about you? Will you guys be there, too?! It’s no secret that I love Walt Disney World. It’s the Most Magical Place On Earth and my favorite place to be. I have dreams about it, talk about it constantly and I am always planning my next trip because I can’t get enough. Last year, Magic Kingdom saw an estimated 18,588,000 people walk through its gates. Yes, you read that correctly. Over 18 million people visited Magic Kingdom last year, which happened to be the highest theme park attendance rate for 2013. Isn’t that crazy? Magic Kingdom beat out every other Disney park, including its predecessor, Disneyland, which has many of the same attractions. But have no fear–every Disney park made it onto the Top 20 list of Theme/Amusement Parks in North America. In fact, Disney filled up the first six spots on the list with Magic Kingdom coming in 1st, Disneyland in 2nd, Epcot at Walt Disney World in 3rd, Disney’s Animal Kingdom in 4th, Disney’s Hollywood Studios in 5th, and Disney’s California Adventure in 6th. When you add up the numbers, an estimated 74,841,000 people visited Disney parks last year. 74,841,000. And that doesn’t even include Disney’s Typhoon Lagoon and Disney’s Blizzard Beach Water Parks, which ranked 1st and 2nd on the Top 20 List of Water Parks in North America. 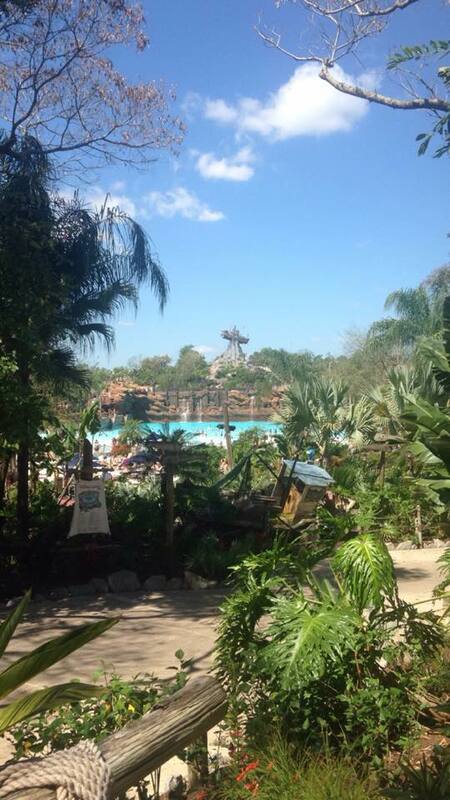 Typhoon Lagoon had 2,142,000 visitors and Blizzard Beach had 1,968,000. You may not like Disney. It may not be your favorite theme park to visit, but the numbers don’t lie. People visit Disney parks more than they visit any other amusement park in the country. But the real question is–why? Disney appeals to and has something for everyone. Disney is marketed as a theme park for all ages. It’s a place where families can come and enjoy time together–together being the operative word. Many theme/amusement parks cater to an older crowd with thrilling roller coasters and less rides for the entire family to enjoy. This is where Disney comes in to save the day. Disney has several parks that house a variety of shows, rides, and other entertainment that will keep everyone entertained. Even those die-hard Disney haters (yes, some do exist) will find SOMETHING they like. And, if you thought Disney’s theme park success started and ended here in the United States, you were wrong. Disney reigns supreme throughout the world. Tokyo Disneyland had 17,213,000 visitors last year, which is more than Disneyland in Anaheim, Calif., Tokyo Disney Sea had 14,084,100, Disneyland Park in Paris had 10,430,000 and Walt Disney Studios Park in Paris had 4,470,000. In fact, Disneyland Paris is said to be the most visited attraction in Paris, beating out the very famous Eiffel Tower. That. Is. Crazy. I could keep going, but the entire list is long and in depth. Plus, I think you see where I’m going with this. 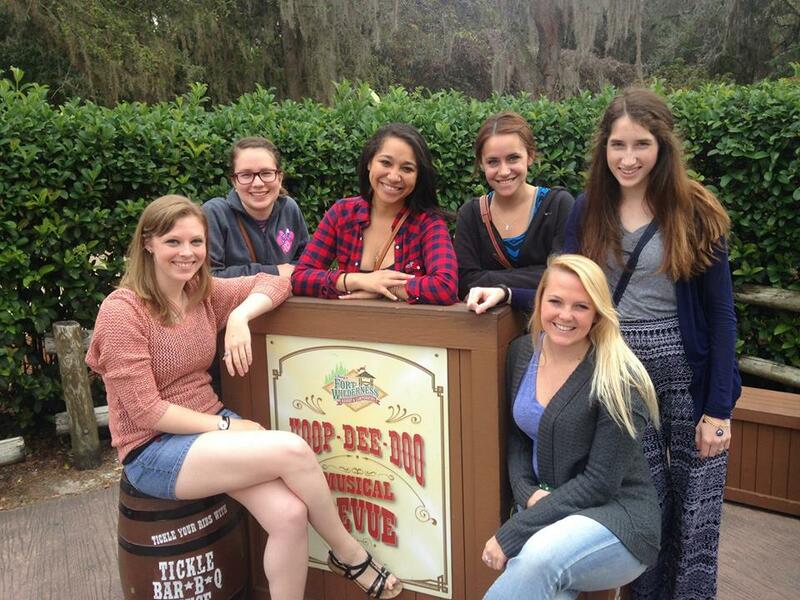 I love Disney because the magic in the parks translates to EVERYTHING they do outside of them. Even if Disney isn’t your favorite place to visit, I guarantee at least one of your favorite things has a little bit of pixie dust sprinkled on it. Let me know what you thought about this post in the comments! Hello friends, and welcome to my blog! Somewhere in Arendelle, Olaf is a VERY happy snowman! It’s only fitting that my very first post should be about how today is the first day of summer, because summer means no school, no homework and having PLENTY of time to visit theme parks! Living in Florida gives me access to some of the best theme parks in the country–Walt Disney World, Universal, and Busch Gardens. Even though I can visit these parks whenever I want during the rest of the year, it’s easier to go during the summer because I don’t have to worry about missing class or having to get an assignment done! This summer is especially exciting because in just 17 days, Universal Studios Florida will officially open the Wizarding World of Harry Potter–Diagon Alley! Diagon Alley comes four years after the initial grand opening of the Wizarding World of Harry Potter–Hogsmeade, which opened on June 18th, 2010 at Universal’s Islands of Adventure. This ‘world’ features the famous Hogwarts: School of Witchcraft and Wizardry, which houses the very popular Harry Potter and the Forbidden Journey ride. You can also have a Butterbeer at the Three Broomsticks, get a wand at Ollivander’s and stock up on Chocolate Frogs at Honeydukes! Diagon Alley promises to be just as, if not more, amazing as Hogsmeade. You will be able to dine at the Leaky Cauldron, make your way down Knockturn Alley, and go on an adventure in Gringotts on the new ride Harry Potter and the Escape From Gringotts. Is this not every Harry Potter fan’s dream come true?! This summer also brings us a completed New Fantasyland in Magic Kingdom at Walt Disney World thanks to the addition of the Seven Dwarfs Mine Train, which opened on May 28th, 2014. The Seven Dwarfs Mine Train is a family friendly coaster that brings you swinging cars, advanced audio-animatronics, and your favorite seven dwarfs! You even get a glimpse of the dwarfs dancing with Snow White in their cottage at the end of ride–and the Evil Queen lurking outside. We can also expect to see Falcon’s Fury: The Ride open some time this summer at Busch Gardens Tampa. This freestanding drop tower stands at 335 feet, making it the tallest freestanding drop tower in the country. If that wasn’t scary enough, you pivot 90 degrees before the big drop so that you plummet 60 mph to the ground–face down. 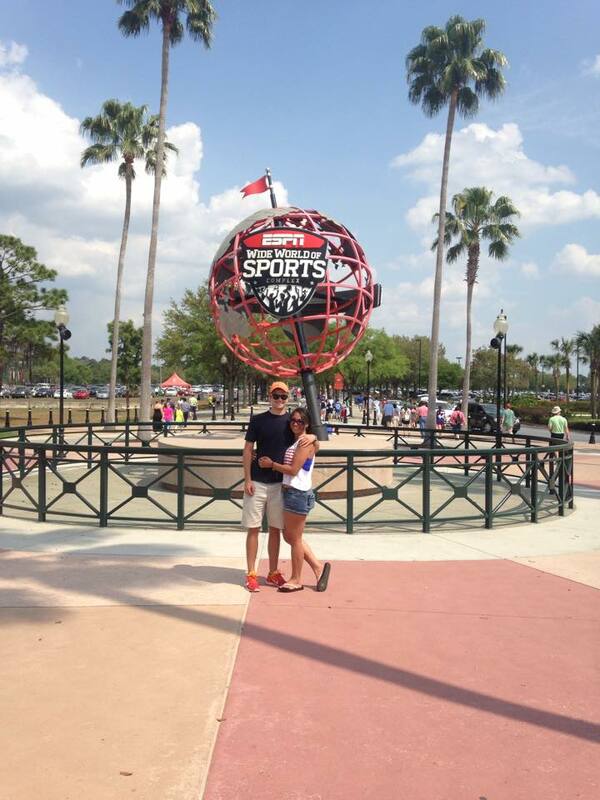 If you’re heading to Florida this summer, there are SO many new things to experience. Be sure to pack plenty of sunscreen to protect you from the sun, a poncho to protect you from the daily showers, and your sense of adventure. Where are you headed this summer? Let me know in the comments!